Josh Green, a native of Sydney, Australia, is playing at IMG Academy (Florida) this season and has put together a very solid junior campaign. Transferring from Hillcrest Prep (Arizona) to another national power late in the summer, Green is used to being in the spot light. Playing one of the toughest schedules in the country every year is only helping the talented 2019 wing. Green’s biggest strength is his athleticism where he has the ability to put defenders on a poster during any given possession. Being so athletic and having the ability to run the floor so well Green has the ability to score in transition as well as anyone in the country. Defensively he is a nightmare for anyone lining up against him and he takes pride in locking down his defender. Still trying to improve, the talented junior has also worked hard on his jump shot over the last 12 months and the results are showing as he’s been more consistent from different levels on the perimeter. A 6-6 uber-athletic wing, Green already holds over 20 offers from schools like Arizona, Arizona State, Kansas, TCU, UCLA, California, Connecticut, Kansas state, Marquette, Maryland, Oklahoma, Oregon, Seton Hall, Stanford, Texas A&M, Texas Tech, UC Santa Barbara, UNLV, USC, Utah, Utah State, Virginia, Wake Forest, Washington, and Washington State. Green doesn’t have a time table on when he will decide on a college but he knows that he wants a school that fits his style of play and one where he can come in and make an impact right away. Moving from Australia he isn't worried about the distance of the school because he is use to moving and adopting to different systems. Green is a consensus top 30 national talent (i.e. #28 on the most recent NY2LASPORTS.COM Class of 2019 Player Rankings). Still developing, Green has the potential to be a high level impact player at the next level as he has a high ceiling and his best basketball is in front of him. Expect to hear a lot about him as the talented junior could very well slide inside the top 15-20 nationally with hard work and big time production this upcoming spring and summer. 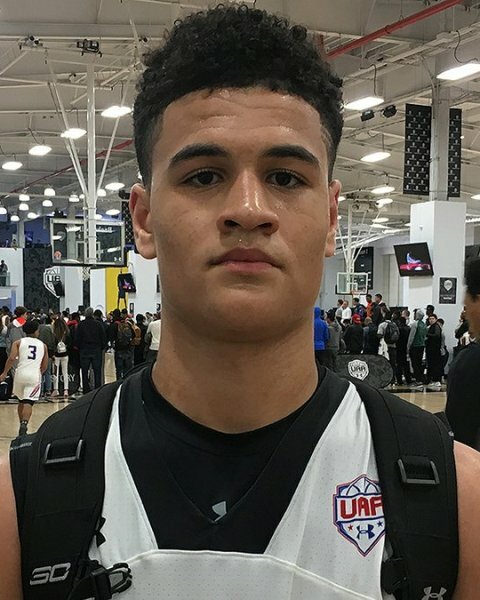 Josh Green played with Earl Watson Elite during the grassroots travel season. Note: Jake is the owner and chief videographer for Movement Hoops. He is also the contributing editor for NY2LASPORTS.COM Follow Jake on Twitter @MovementHoops.